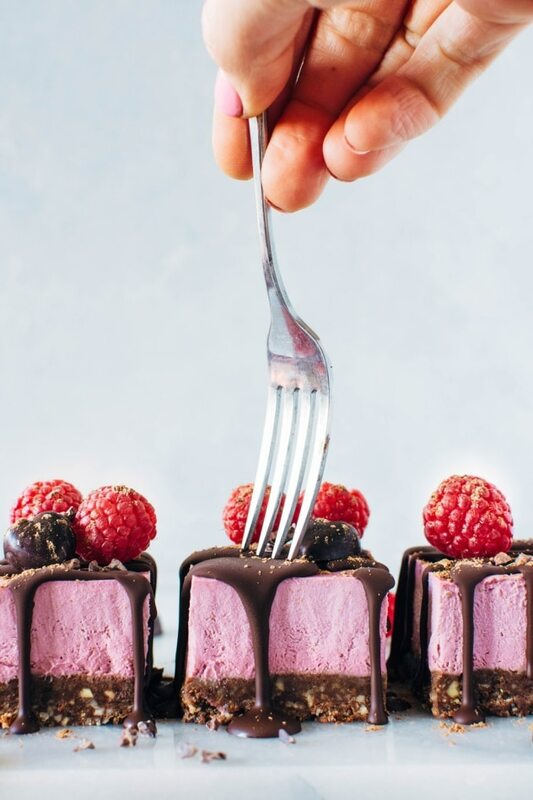 These Raspberry Chocolate No Bake Superfood Cheesecake Bars with Rawmio Chocolate are dairy free, gluten free, and refined sugar free! They’re also loaded up with superfoods, healthy fats and fresh fruit! Crave worthy and good for you, they’re perfect for anyone you wanna show some love on Valentine’s day, or any other day of the year! Woah you guys. 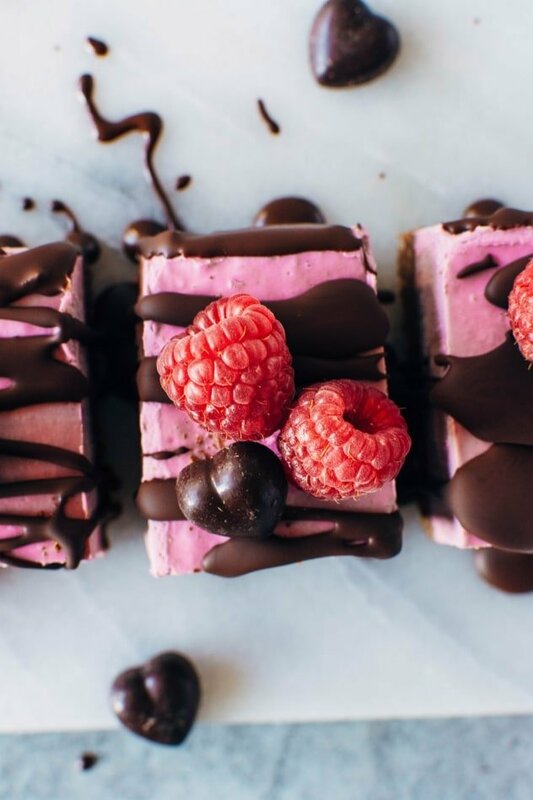 These raspberry chocolate no bake superfood cheesecake bars made with Rawmio chocolate are SO dang heavenly! 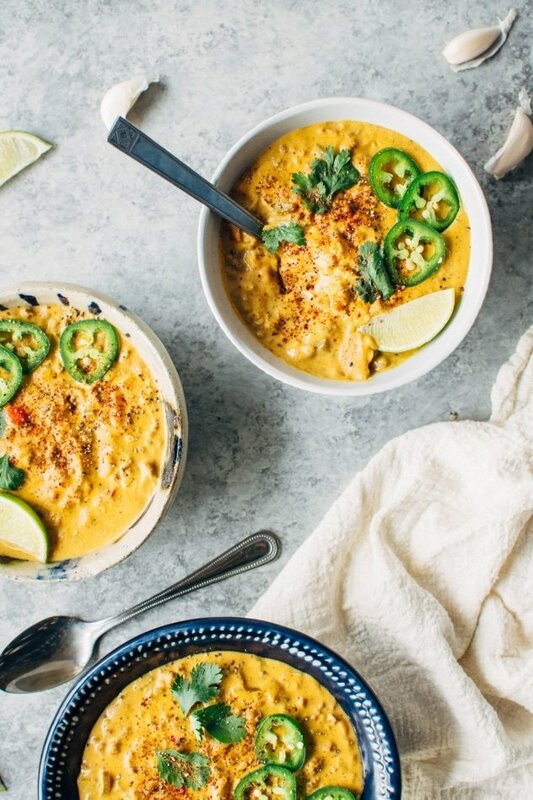 I am beyond excited to share this recipe with you today. They’re perfect for your clean eating self and anyone you want to share some guilt free love with on this Valentine’s day. I mean, is there really any better way to show TRUE love than with a treat that involves reaaaaally good chocolate + fresh raspberries + zero junky ingredients?! I’m pretty sure the correct answer to that question is nope. Not a chance. This entry was posted in sweets and tagged cashews, cheesecake, chocolate, dairy free, dates, gluten free, grain free, naturally sweetened, organic, raspberries, raspberry, raw, rawmio, refined sugar free, sweets, vegan on February 12, 2018 by Nyssa Tanner. Anyone else feel like they’re still unwinding from the holiday? While I love love love spending time with friends and family and sharing good food, it always takes me awhile to get back into the groove of things afterwards. There are some things that have been helping me get back into the flow – exercise, quiet down time for reading or watching favorite movies (currently mid Harry Potter marathon! 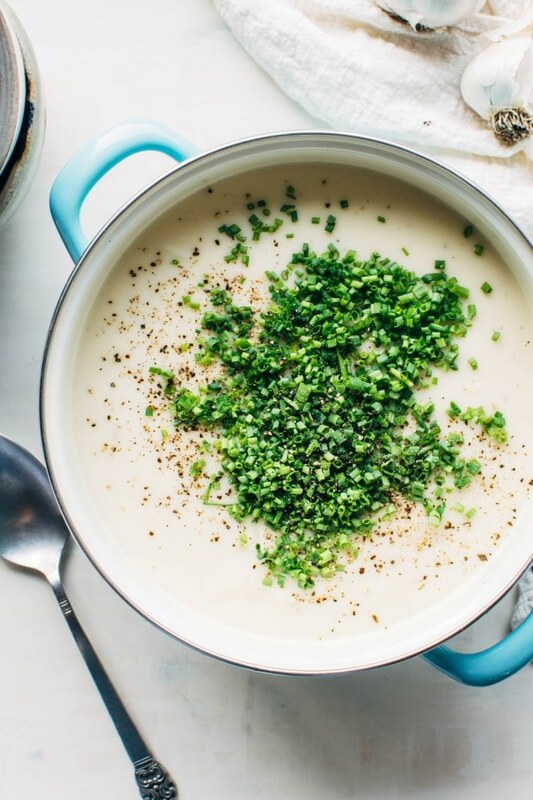 ), and making easy, nourishing meals like this creamy dairy free parsnip and chive soup. 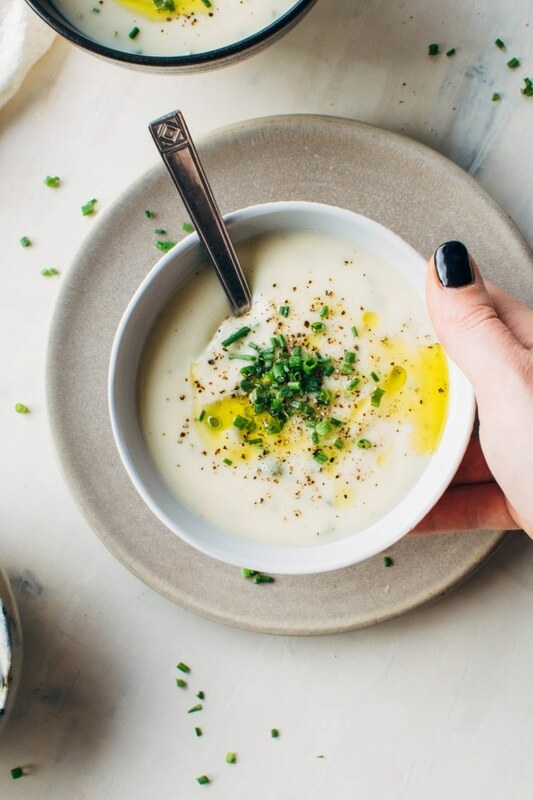 A good soup recipe is at the top of the list of my all time favorite things, and favorite ways to warm up. Especially this time of year when every day IS RAIN and I literally need just as many lights on in my house during the day as I do at night. These are the days that I dream of spending the winter in someplace warm and tropical. Creamy parsnip and chive soup + twinkle lights + kitty cuddles = things that are keeping me sane. 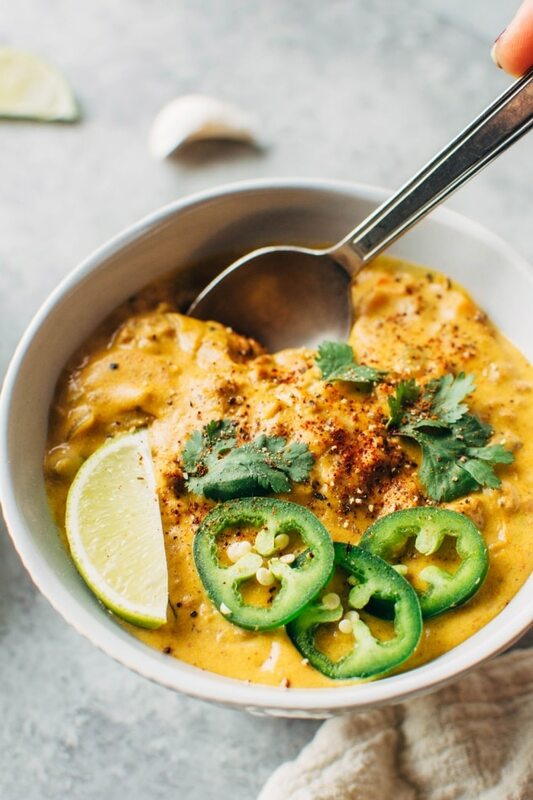 This entry was posted in soups and tagged cashews, chives, dinner, easy, healthy, instant pot, lemon, lunch, paleo, parsnips, pressure cooker, quick, soup, vegan, vegetarian on November 29, 2017 by Nyssa Tanner.